Tusker Project Fame season five kicked off on Martyrs day here in Uganda bringing East Africa together. The judges who include our very own Juliana Kanyomozi, Hermes from Tanzania and Ian Mbugua from Kenya will be looking for quality in the next eight weeks. The show which was hosted by Sheila and Mich Egwang had an addition of Gerrard Foster on the panel of judges making them four in total. The contestants started off with short presentations as countries starting with Burundi, South Sudan, Kenya, Uganda, Rwanda and Tanzania. It was time for the six who were up for nomination to sing so that the judges can determine who goes home and who stays in the academy. Uganda's Brian Luzinda aka Snaky B a name that he adopted from his hairstyle was the first one to perform Ne-Yo's 'So Sick' which turned out to be a sick performance in the end as he was asked to leave the academy. The audience ran wild when Nancy from South Sudan hit the stage doing her track. Joe from Burundi was the last one to perform of the six contestants who were up for nomination. Joe's performance and Nancy were rated as the best performances for the night. It was time to decide who goes home. The faculty saved Joe as Doreen Muchichi from Kenya and Nancy from South Sudan were saved by the judges. 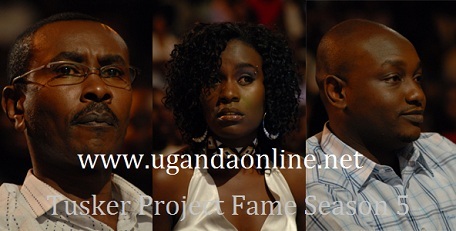 This left Diana from Rwanda, Linius from Tanzania and Brian Luzinda from Uganda as the contestants to go home on the very first day the Tusker Project Fame season 5 started. Tusker Project Fame is brought to you by Africa's finest lager, Tusker Lager.